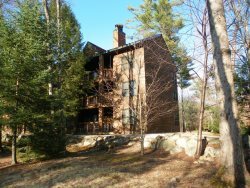 Looking to buy a home in the White Mountains? Contact one of these knowledgeable Realtors. We really love living here and we are pretty sure you will too. So whether youre looking for a vacation home in the mountains, land to build your dream home or even a commercial property, our friendly, experienced Realtors will take care of you. Welcome, our full-service company in the heart of NH White Mountains, handles all aspects of New Hampshire real estate and business brokerage. We are always available for personal service. Please call us toll-free at (866) 359-8289, email us, or visit our office when youre in the Lincoln-Woodstock NH area. We look forward to serving you. Our office covers the entire Campton, Thornton and Plymouth region - whether you are looking to sell your home or purchase a new primary home - we are happy to help. WATERVILLE VALLEY REAL ESTATE SPECIALIST! Located within the southern boundary of the White Mountain National Forest, Waterville Valley is often described as the island in the forest since its inhabited area is less than two miles in diameter and completely surrounded by mountains. This aspect of geography is what makes the Valley so special a complete self-contained community easily accessible by interstate highway, but not subject to the uncontrolled growth and development prevalent in other resort communities. This built-in limitation on growth has preserved land values and protected the environment and natural beauty of the area. To this day Waterville Valley appeals to people seeking a respite from the demands of urban living, and to parents who want a safe and secure recreational environment for their families.